Silicone material is non-irritating. 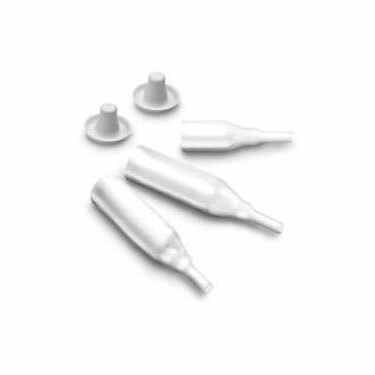 Plastic disposable cap maintains adhesive integrity for added security and ease of application. Available in sizes intermediate (32mm) and large (36mm). Box of 30.